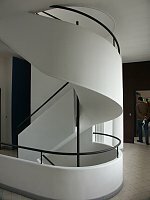 The curving exterior wall is glass; the floor is laid with white tile on the diagonal. 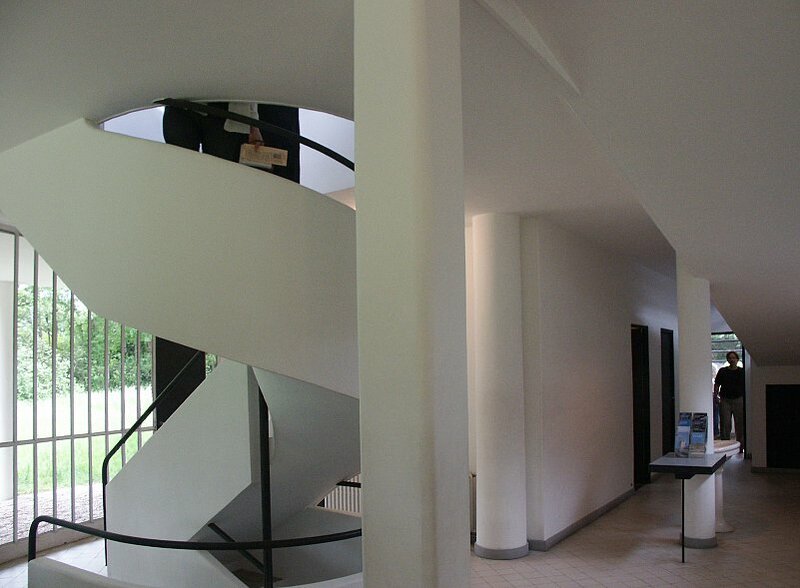 A row of columns marches down the hall to the rooms which would have been occupied by servants. Oddly, a shelf is attached to one of the columns, which is placed in front of a free-standing lavatory. 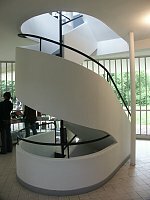 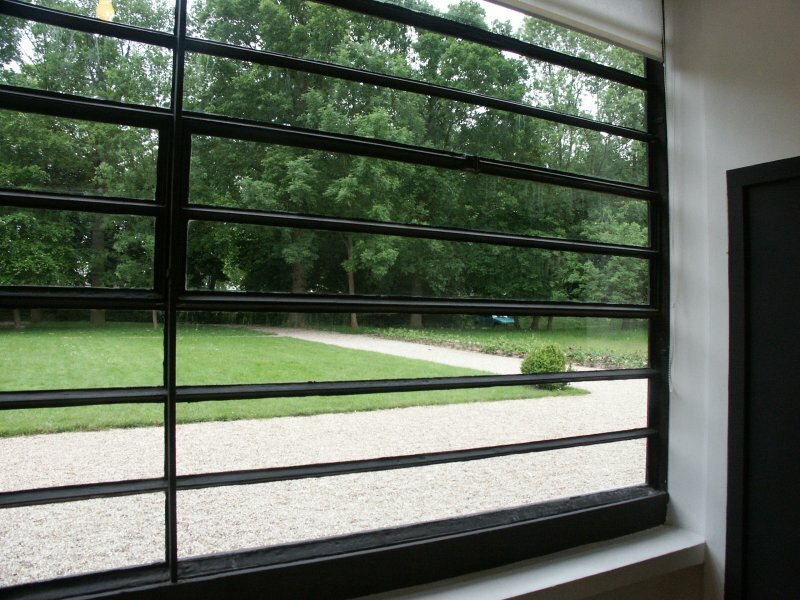 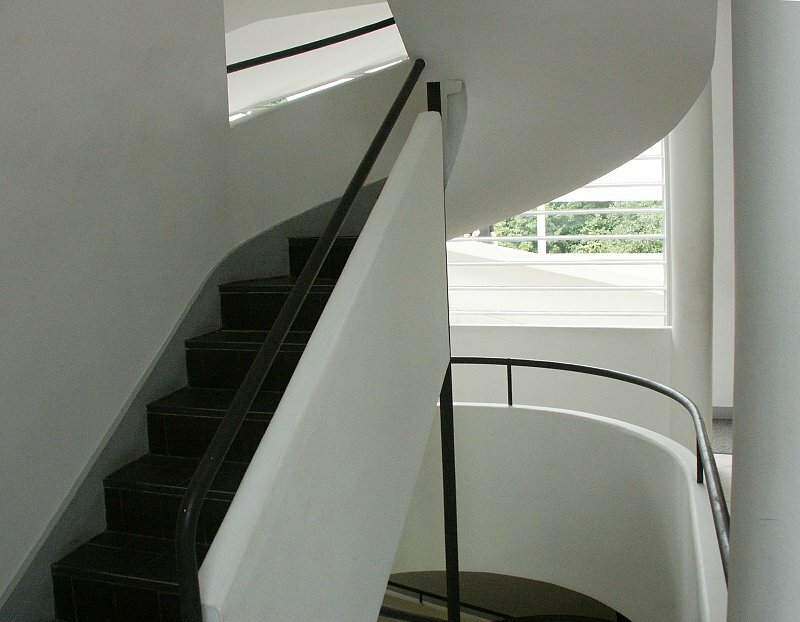 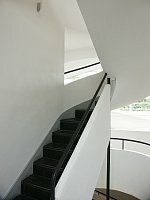 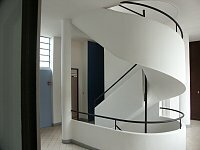 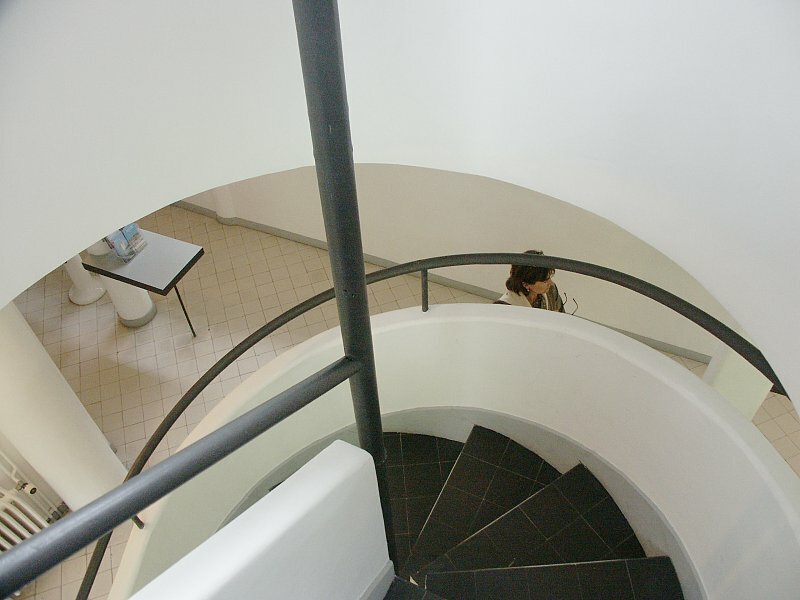 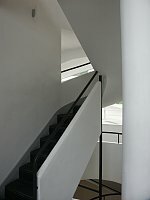 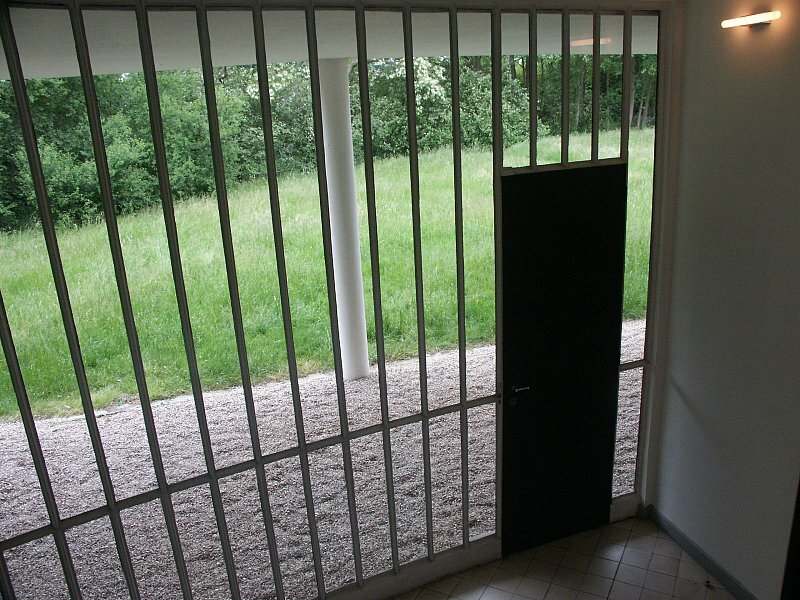 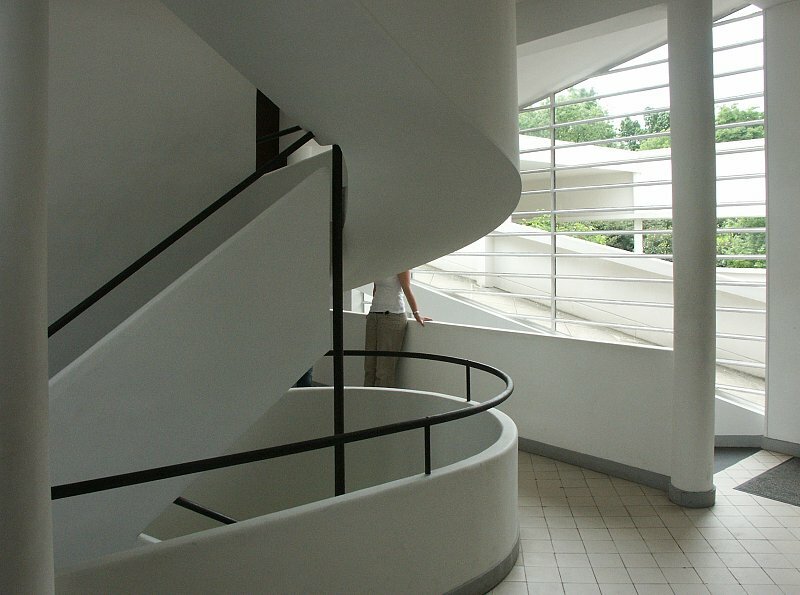 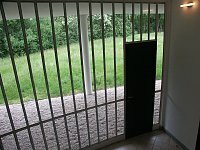 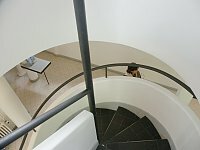 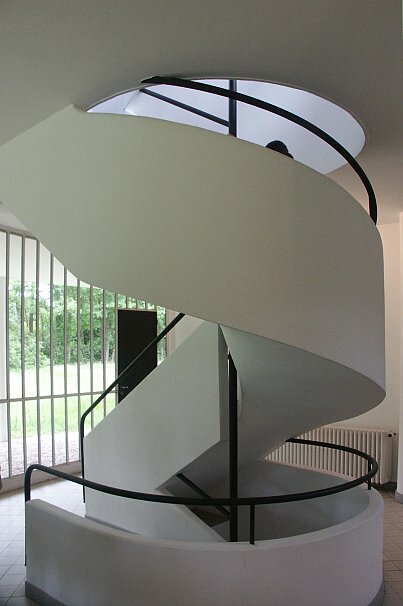 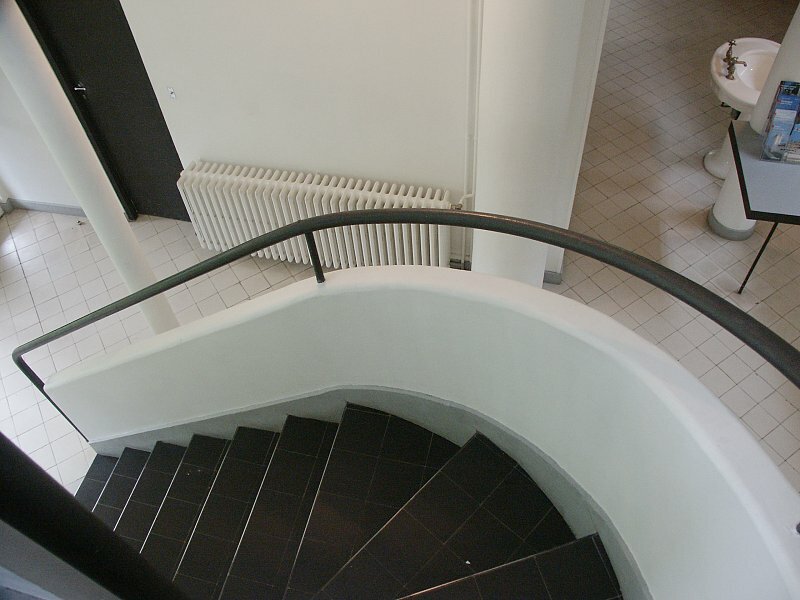 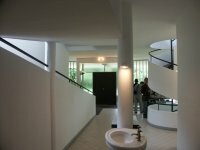 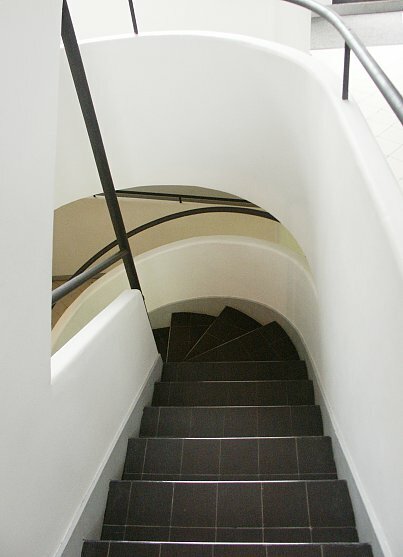 In this ground floor area Le Corbusier has also designed a suite for the chauffeur and linen room as well. 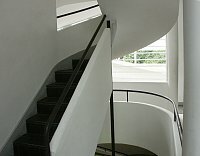 The three-car garage is to the right of the main entrance.